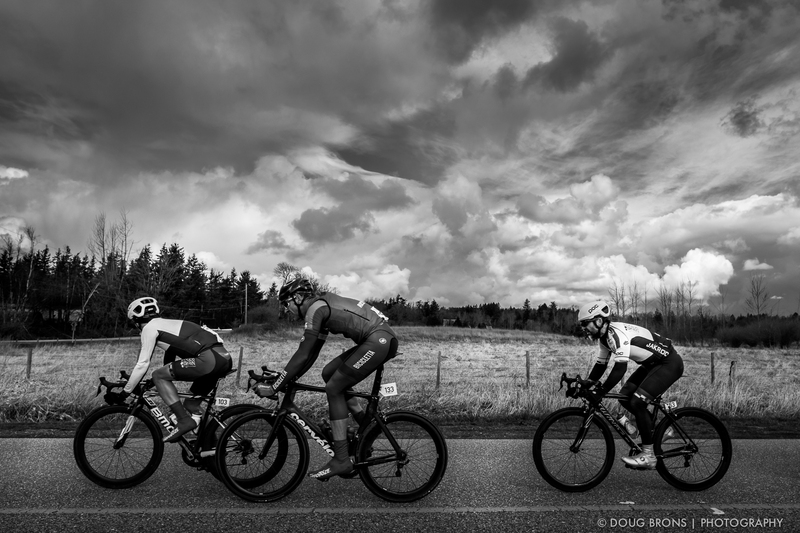 It was another weekend of bicycle racing, this time in Aldergrove, BC. The day was a mixed bag of brilliant sunshine and threatening clouds. The winds were strong along 0 Avenue, next to the US border and even forced riders into echelons. Fujifilm X-T1 | 16mm f1.4 | ISO 400 | f5 @ 1/2000 sec. 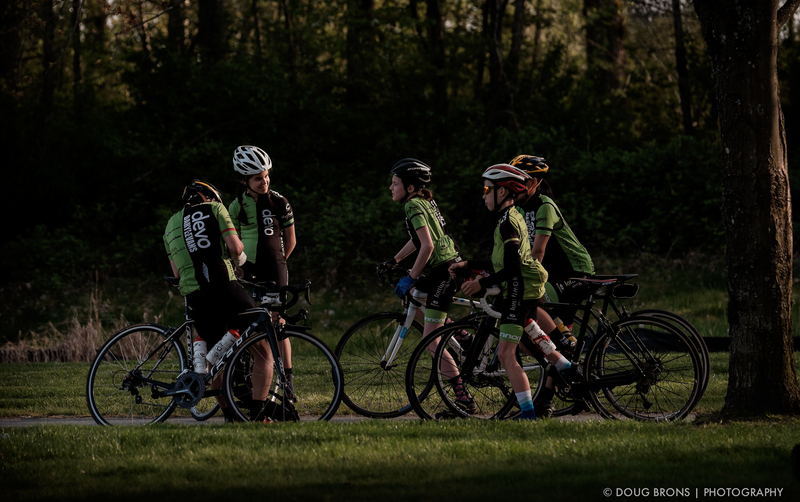 Another day photographing the Escape Velocity Spring Series, this time in Ft. Langley. The infamous Snake climb was on tap today and was the focal point of my coverage. 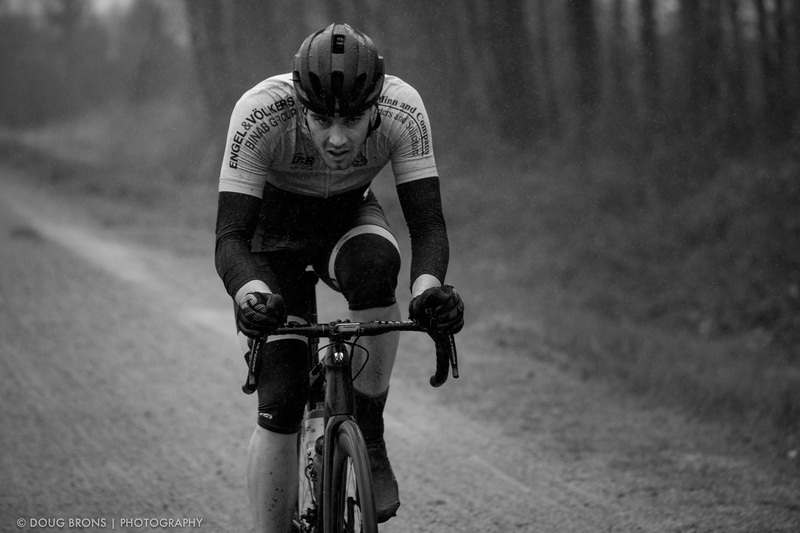 This rider is looking at the climb just ahead as he rounds the switchback. Fujifilm X-T1 | XF50-140 f2.8 R LM OIS WR @ 140mm | ISO 400 | f4 @ 1/1000 sec. 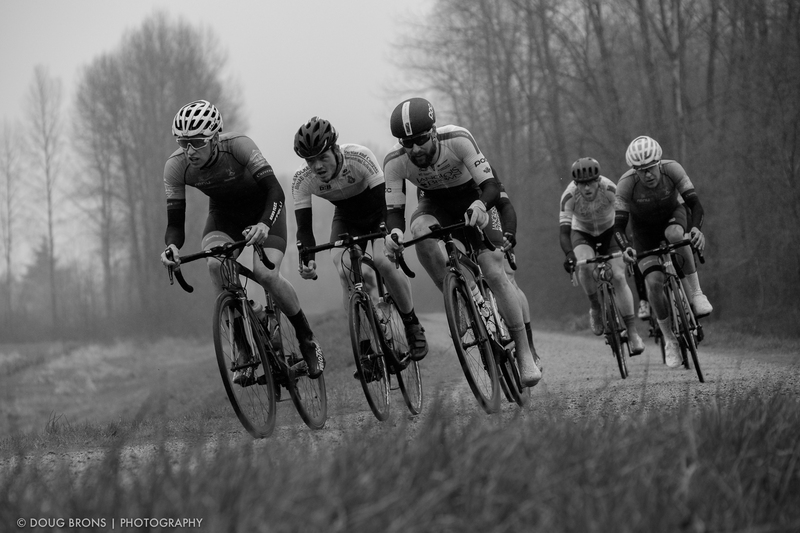 Escape Velocity Spring Series began on Saturday, typically the start of the road racing season in the Lower Mainland. A three-person breakaway for a large portion of the Elite Men’s race highlighted the action. 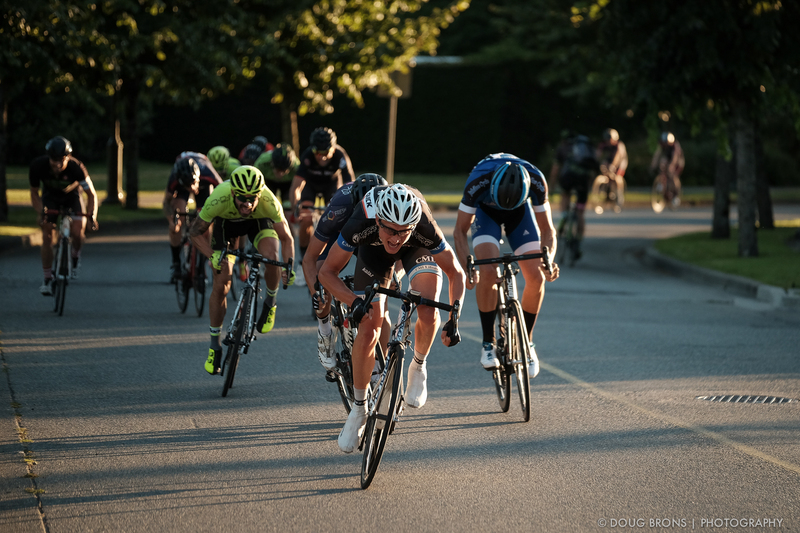 This was the penultimate night for racing on the UBC course for 2016. Great evening light, warm temperatures and good racing!